The rice lobby is pushing the FDA to officially define the term “rice” to exclude cauliflower rice. There is a war being waged over plant-based alternatives. Most publicly, almond and other plant-based milks are facing FDA crackdowns over use of the word “milk” or “butter“. According to FDA Commissioner Dr. Scott Gottlieb, “The FDA has concerns that the labeling of some plant-based products may lead consumers to believe that those products have the same key nutritional attributes as dairy products, even though these products can vary widely in their nutritional content.” Yeesh. But that’s not the only plant-based product facing potential legal issues. 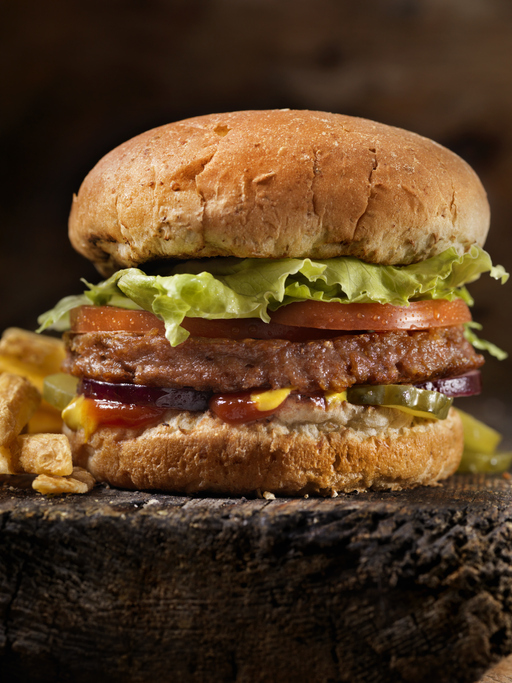 The meat industry can’t be happy about Beyond Meat burgers finding their way into the supermarket meat aisle. 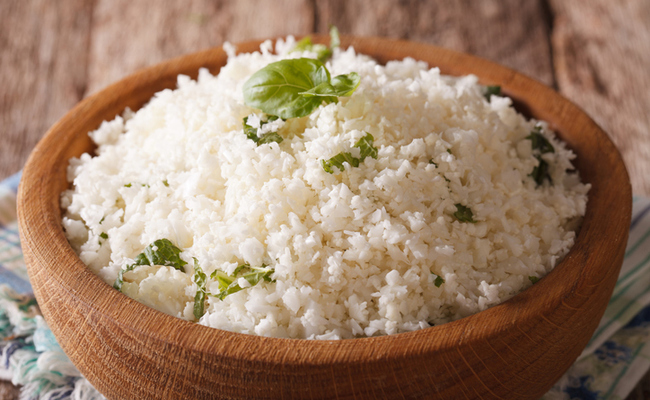 And the fight has even made its way to rice—cauliflower rice. Rice farmers in Arkansas want people to stop calling our favorite cruciferous grain alternative “rice” They worry that the terms ‘cauliflower rice’ or ‘riced cauliflower’ is confusing consumers and are pressuring the FDA to develop an official definition for the term “rice”, so not everyone can use it. “Cauliflower crumbles, whatever you want to call it. Let’s put it in the vegetable section, the produce section, and keep it out of the rice aisle,” Michael Kline of USA Rice told CBS. Would it really make a difference if it were called ‘cauliflower crumbles’ instead? Perhaps. 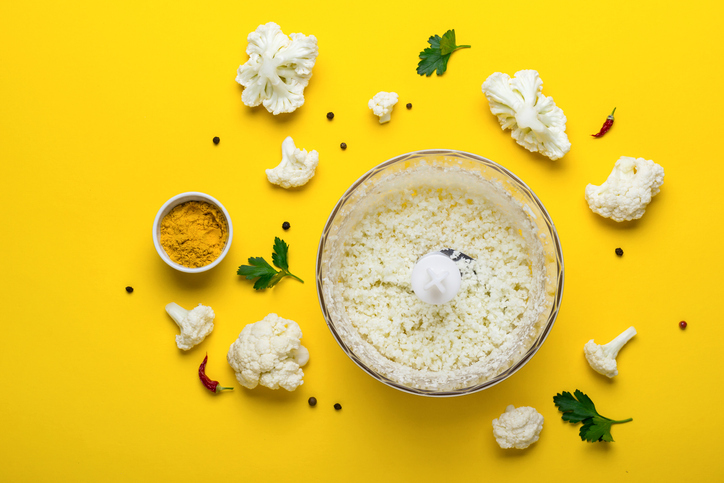 Plant alternatives with a familiar name may comfort those who are unfamiliar with this new wave of eating—cauliflower crumbles or bits does not sound as appetizing. That’s especially true with meats and milks, too. But rice is a unique issue. Rice is a plant itself, albeit a starchy one, that has been demonized in paleo eating circles. Is it fair to call another plant ‘rice’ when it’s in an entirely different family of plants? Well, it is questionable what authority the government has to change the dictionary. You could make the argument that “rice” is also a verb. A quick Google search defines “to rice” as “to force (cooked potatoes or other vegetables) through a sieve or ricer”. Who’s to say vegetables can’t be described this way? It’s technically accurate. Regardless of what you call them, plant-based alternatives are here to stay. Want proof? Burger King is planning on launching its own meatless, fully vegetarian Impossible Whopper. That’s right—Burger King is ready to capitalize on the plant-based movement and has partnered with Silicon Valley startup Impossible Foods to bring plants to the people. And yes, they’re calling it a Whopper, even though it contains none of the meat in a traditional Whopper. Sorry, conventional foods. No matter what you call them, plants are bringing on major competition. I don't see cauliflower rice as a rice alternative. just a different way to cook cauli for a change. Didn't know you could buy it already cooked, but then I rarely buy frozen food. You would have to be pretty dumb to not know the difference. "rice alternative",or whatever,just label it as such.Problem solved. I read the end. Is that what this long article was for? To fight for your right to name a food for vegans? Get a grip. First time I hear about cauliflower rice.